Throw it in your pocket, purse or bag. Use the included lanyard and clip to secure it. 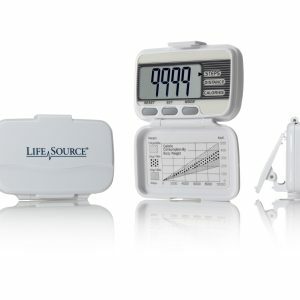 Place the XL-18CN Activity Monitor in your pocket, purse or bag. The XL-18CN records your steps, distance and calories burned. 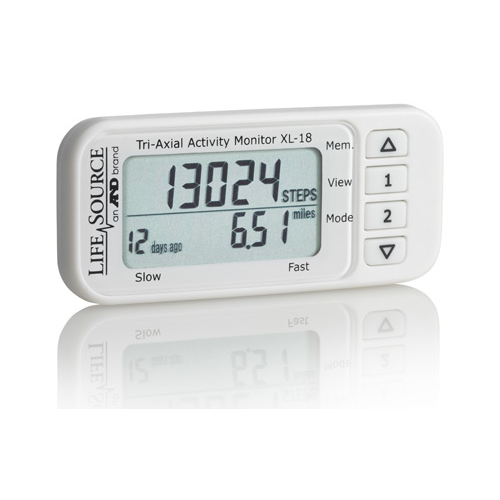 Tri-axial Technology gives you the most accurate measure of your steps. It uses a digital accelerometer to track movement in all directions. So whether you are walking, running, exercising or even dancing, Tri-axial Technology is precisely tracking your activity. Want to know what your real step count is or how many calories that walk to the library actually burned? 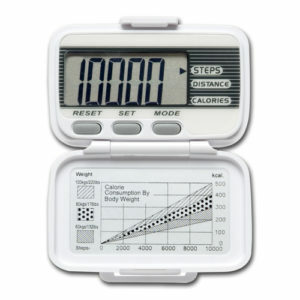 Ever feel that your pedometer isn’t accurate enough? The XL-18CN has the ability to discern between accidental movement and intentional exercise. You’ll get an extremely accurate measure of your motion. You can feel confident that what you see on the screen is a true indicator of your efforts. Packed with features, the XL-18CN Tri-axial Activity Monitor boasts a 14-day memory and a motion indicator that shows you the intensity of your movements. A detachable lanyard, internal clock, power save mode, and battery life indicator also come standard. Ultra slim and weighing in at only 28 grams, you’ll barely notice you’re carrying such a powerful tool. The LCD display spans over two-thirds of the product, giving you a large and easy-to-read screen. Powered by a standard CR2032 lithium battery, and backed by a two-year warranty you’ll be ready to get moving as soon you open the box.